Want a 3 minute devotional for the whole family? These readings are ideal for coming together to grow in faith and family. 180 entries are perfect as morning, mealtime, or bedtime devotions and feature colourful illustration design throughout. 3-Minute Devotions for Little Hearts by Jean Fischer was published by Barbour in July 2017 and is our 23234th best seller. The ISBN for 3-Minute Devotions for Little Hearts is 9781683222217. 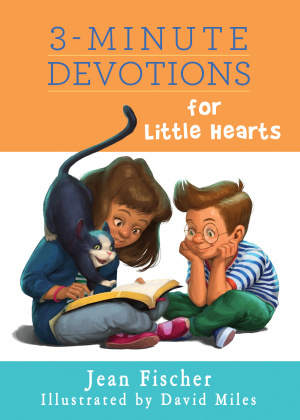 Be the first to review 3-Minute Devotions for Little Hearts! Got a question? No problem! Just click here to ask us about 3-Minute Devotions for Little Hearts.